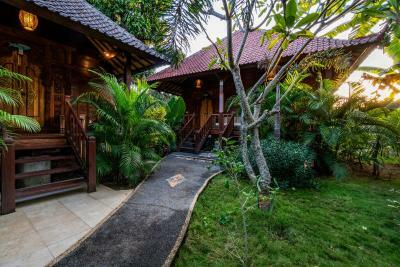 Lock in a great price for Warisan Villa – rated 8.5 by recent guests! 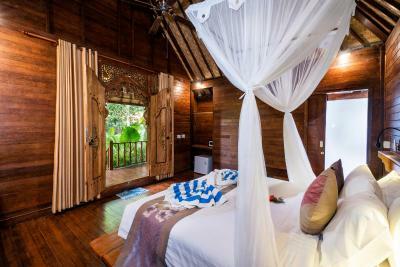 Absolutely loved our stay at Warisan Villa! 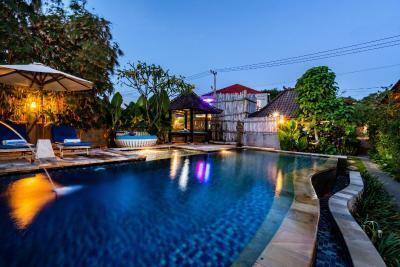 Extremely comfortable, clean room with beautiful pool and gardens. 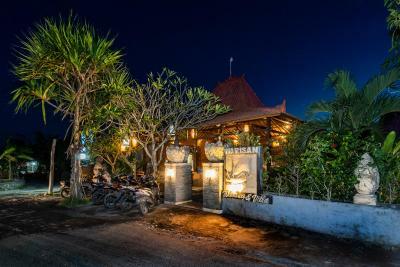 Great location (although renting a ped is a necessity to get around Nusa Lembongan), super friendly staff and great breakfast each day. 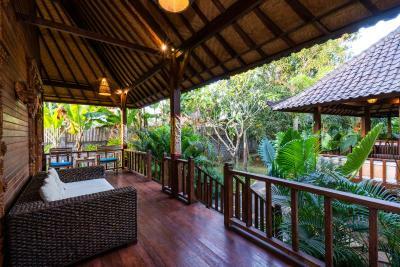 This property is amazing value for money and we have already recommended to all of our friends! I really enjoyed my stay here, Staff were very friendly and location was great. The pool, the rooms, the staff! Great place. I enjoyed it! The place is beautiful, the pool. The room is big and the bathroom is great. Great location. Staff were super lovely and helpful and the pace exceeded our expectation for location and facilities. The pool was awesome and the rooms clean and comfortable. 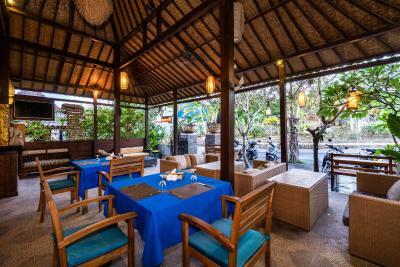 Very nice ambiance and perfect location between the two main beaches of Lembongan! Good location to access all parts of the island. 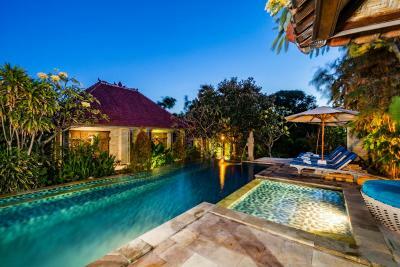 They have a nice pool and it feels quiet and private with only 6 villas. There is also a weight machine to work out which was nice. Good basic breakfast. Great reliable wifi worked the whole time. 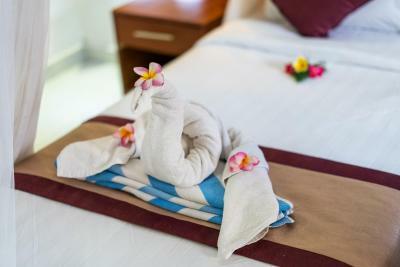 Friendly and helpful staff, clean room, good breakfast, convenient location. 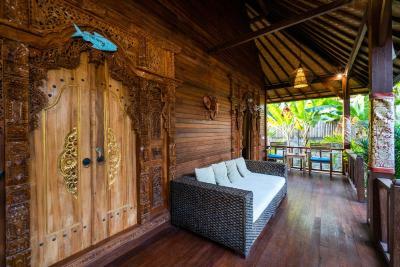 Warisan Villa This rating is a reflection of how the property compares to the industry standard when it comes to price, facilities and services available. It's based on a self-evaluation by the property. Use this rating to help choose your stay! 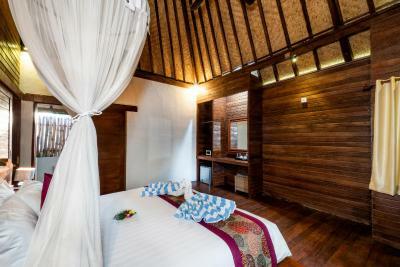 One of our best sellers in Nusa Lembongan! 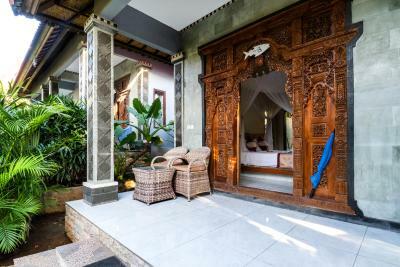 Located in Nusa Lembongan, Warisan Villa offers accommodations with free WiFi and access to a garden and an outdoor pool. Offering a terrace, particular units are air-conditioned and include a dining area and a seating area with a flat-screen TV. Some units feature a balcony and/or patio. A continental breakfast is available each morning at the resort village. 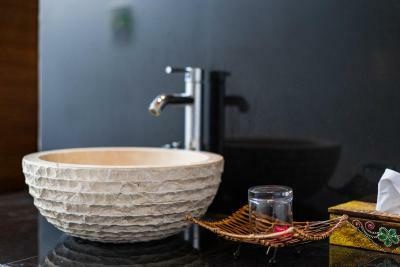 There's an on-site restaurant, which serves a variety of Asian and American dishes and also offers vegetarian and dairy-free options. Warisan Villa has a grill. Popular points of interest near the accommodation include Mushroom Bay, Devil's Tear and Sandy Bay Beach Club. 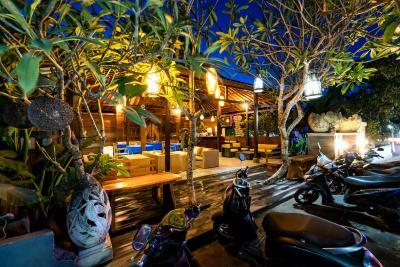 The nearest airport is Ngurah Rai International Airport, 55 miles from Warisan Villa. 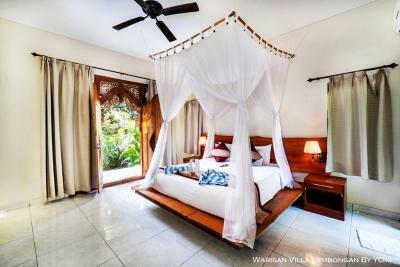 When would you like to stay at Warisan Villa? 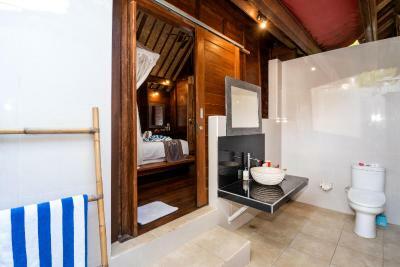 This 30-sqm room features air conditioning, a personal safe, hot water, mosquito nets, and a balcony. 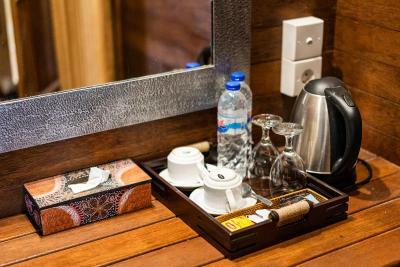 Daily mineral water and coffee/tea facilities are provided. 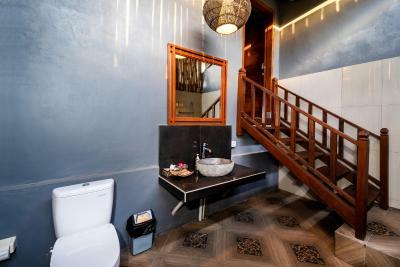 The 50-sqm connecting rooms feature air conditioning, a personal safe, hot water, and amenities. 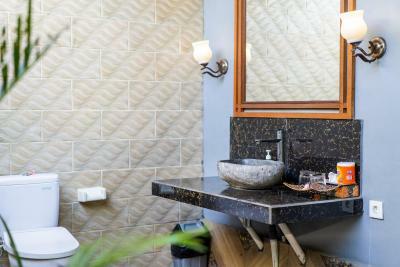 Daily mineral water and coffee/tea facilities are provided. 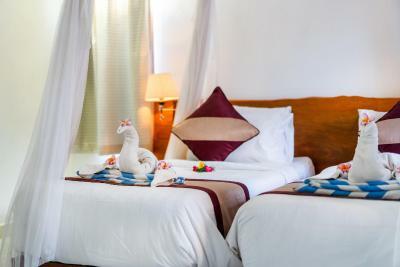 An oasis Lembongan Island, Balinese building and very warm friendly staff, Warisan Villa offers accommodation has a terrace and views of pool, and guests can enjoy a meal at the restaurant. 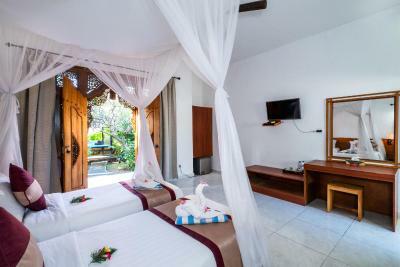 Each air-conditioned villa includes a flat-screen TV with satellite channels. 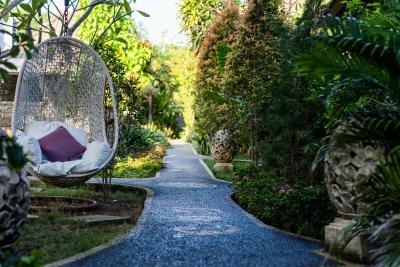 Guests can relax with a drink from the minibar as they lounge by the pool or take a walk among the greenery. 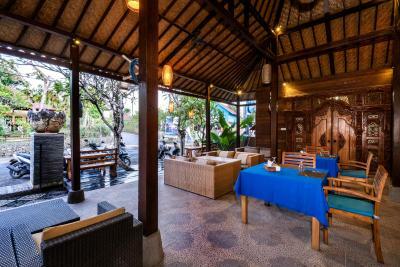 Providing free Wi-Fi, Staff can assist guests with luggage storage and motorbike or bicycle rental services. 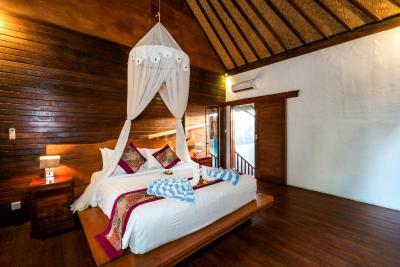 A property only 5 mins walking to the famous beach in Lembongan such as Mushrooms beach and Dream Beach, free transfer from harbour to the property. 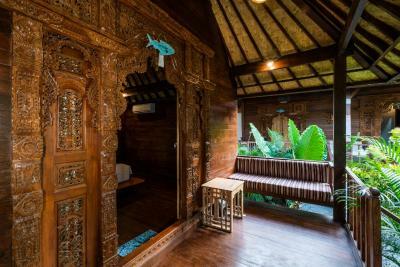 House Rules Warisan Villa takes special requests – add in the next step! 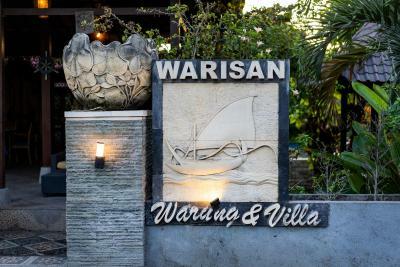 Warisan Villa accepts these cards and reserves the right to temporarily hold an amount prior to arrival. Pool was a bonus , breakfast was acceptable but still the shed villa needs more windows for day light. The front of the property is on a somewhat busy intersection, but the villas and pools are tucked a bit in the back behind the restaurant so we didn't really have much of noise concern (then again we were visiting in March which is not the peak season). The staff was absolutely fantastic and went an extra mile to ensure our stay was great (it was easy to rent scooters, organize a private snorkeling trip, and even organize last minute late night taxi pick-up). 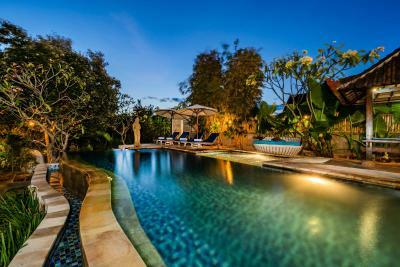 The grounds are beautifully kept, lush with vegetation and the pool is lovely. We stayed in the double room villa at the end of the property which was great as it is a bit tucked away and quiet. 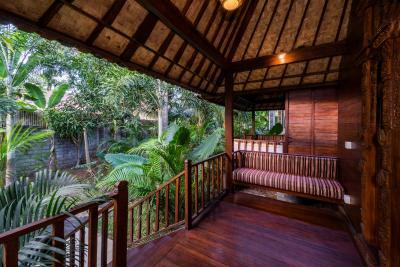 There is only one 2BR villa on the property. 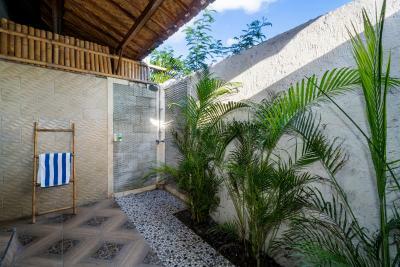 The rooms are connected by a door and each has separate bathrooms with outdoor hot showers. There is a couple of corner stores really close to the property and a bunch of restaurants short walk or even shorted scooter ride (some with live music every evening). Even though there are some lovely beaches on that side of the island, we found that it is better to take a fast scooter ride into Jungutbatu for swimming or snorkeling. Very good value for money! The room is big and feels very luxurious. The pool is so fresh! We also loved the breakfast. The service is absolutely perfect aswell, they could help us with motorbikes and gave us free transfer to the ferry. 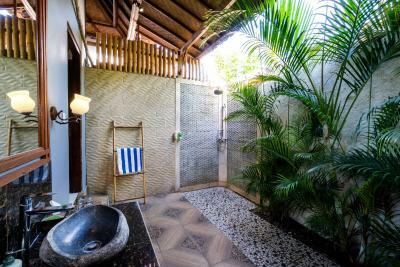 Very nice hotel and small hotel, every room is like a little house with an outdoor bathroom. 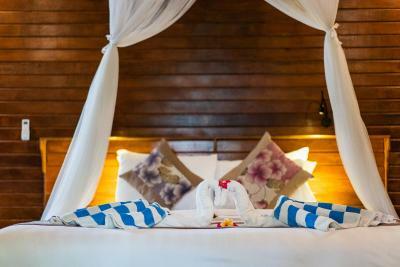 Spacious rooms, good shower, nice swimming pool and central located to the restaurants and beaches. Our only fault was that our shower was a little temperamental but this didn’t affect our stay in any way. The Aircon in our room wasn't the coolest, Breakfast was a little lacking, but was grateful for it, some others in our group went elsewhere for breakfast most days . Great little place to stay, friendly staff ,nice and clean , not far from restaurants and beaches, you can hire scooter's from reception $6.00a day and its about a 10 min walk to Mushroom Bay . Would stay here again. Water Luke warm, but gather that comes with staying on this island, not a complaint with the property. Room was super spacious, bed was really comfortable. Loved the shower. Nice garden/pool area. Very accomodating. 2 bedroom willa wasnt available, done the best in a tinely manner for my family. Staff kind and curteous and made the effort to get to know you. Rooms spacious, clean. 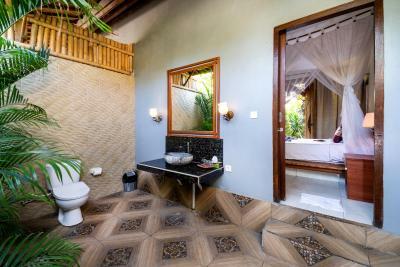 Comfy bed and beautiful outdoor bathroom. The staff was amazing willing to assist whenever necessary. The food was good. 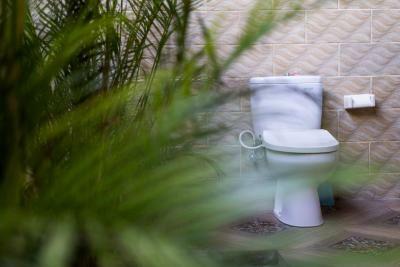 The room was spacious and I especially liked the outdoor bathroom concept. It’s located to most of the tourist spots and one can rent a bike to ride around. The room was very clean and pretty big. Also the complex, as well as the pool are nice and the staff is friendly. The staff were really nice and helpful the first couple of days, but during check-out they were everything but helpful. 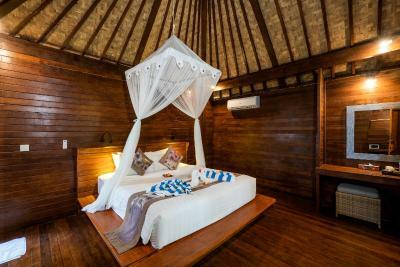 Do be aware that they do NOT take VISA or Mastercard, why the stay will be more expensive than advertised. When we didn’t have cash their only reaction was go to the ATM, no sorry for the inconvenience or anything. Sad end to a good stay. The place is absoloutely beautiful! 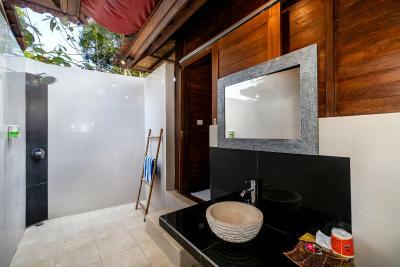 The rooms are nice with a big outdoor bathroom and they feel like you have your own little house. The breakfast is basic but good. 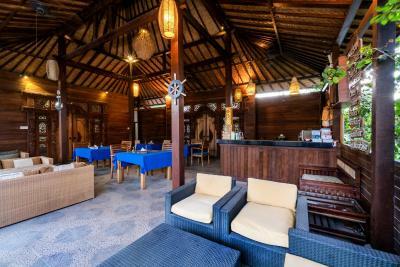 The hotel is location close to Mushroom Bay, making it easy to get there from Bali and is very close to Dream Beach and plenty of good restaurants, while it doesn’t feel overalt crowded with tourists. Bed was very comfortable. Plunger coffee best in the area. Pool great.